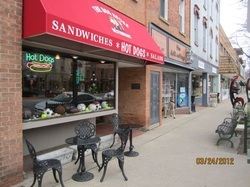 We are a hot dog restaurant located in downtown Tecumseh, MI. All of our dogs are 100% Beef or All Meat...your choice! Design your own dog with our wide variety of toppings or choose one of our many pre-designed dogs!